We were thrilled with the design that Richard produced for our garden. He took on board all our requirements and put together an imaginative scheme which is being implemented by Richard’s workforce, over a period of time, with professionalism and great attention to detail. The garden is now being maintained on a regular basis. Richard developed our initial brief with the flair and skill you would expect from a top rate designer and has created for us a garden of considerable character and interest. 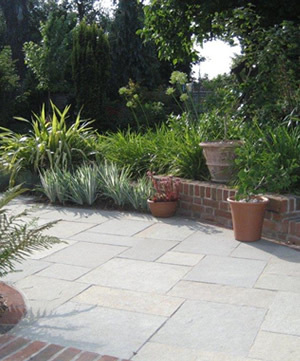 The garden is now maintained to a high standard by Richard and his team of gardeners who provide a professional and reliable service. With the sun shining on our newly established garden we really appreciate the design detail in all your plans. Thank you so much for your time, patience and great ideas which together have greatly enhanced our garden.